The only thing “obvious” to us from Dimond’s statement is that he is quite mistaken. As we will show in a minute, Dimond’s claim that all references to a sacrificing priesthood have been removed from the new rite simply does not correspond to reality. Regarding his comparison between the new rite of Paul VI and that of the Anglicans, there are a number of problems with this line of reasoning as well. 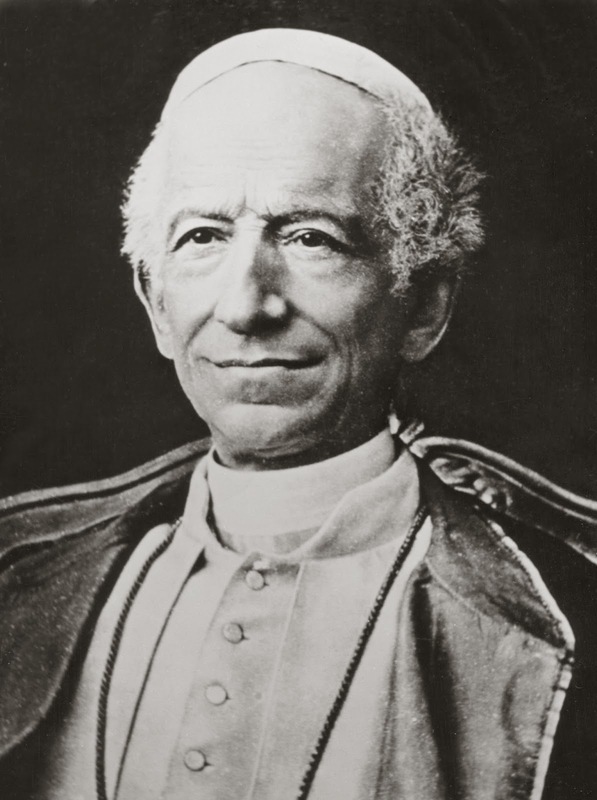 As we show in Chapter 18 and 19 of our book, Leo XIII’s declaration of invalidity for the Anglican rite (which is not a Catholic rite) in no way can be used to prove, or even suggest, that the new rite of Paul VI is invalid. The two rites are apples and oranges. One is an approved rite of the Catholic Church; the other is a non-approved rite of a heretical sect. Not only did the Anglicans create a new form for their new rite (which was not only clearly deficient, but also not approved by the Church), but they also have a completely different (i.e., false) understanding of the office of bishop. This false understanding of the bishop’s office is one of the problems with their rite, since the meaning (substance) behind the words (accidents) they use for the office of bishop, is different than what the Catholic Church understands for the office of bishop. This problem associated with their different understanding of the office of bishop, is similar to the problem with Mormon baptisms, which the Church has declared to be invalid. Although the Mormons baptize using the correct words (e.g., Father, Son and Holy Ghost), when they use these words, the meaning they convey is different than what the Church means when it uses the same words. Because of this, the Church has declared that their baptisms are invalid. A similar problem also exists with the Anglicans, since they have a different understanding of the office of bishop. So there are many problems with the Anglican rite, beyond the elimination of ancillary prayers. Again, the two rites are apple and oranges in more ways than one. We refer the reader to Chapters 18 and 19 of our book for a more complete explanation of why one cannot judge the new rite of Paul VI in light of Leo XIII’s teaching concerning the Anglican rite, which Pete Dimond either didn’t read or was not able to comprehend. For now, we will address Dimond’s erroneous claim that Paul VI's new rite “removed every reference” to a sacrificing priesthood, since this is what he uses as the basis for his comparison of the new rite of Paul VI and the Anglican rite. We will begin with some basic sacramental theology so that the underlying argument can be understood. A sacrament is a compound of matter (material case) and form (formal cause). It is administered by a minister (the efficient cause) who must have the intention (final cause) of doing what the Church does. A sacrament is dependent upon all four causes for validity. A Sacrament has two elements, namely, the matter and the form. The form of the sacrament consists of the words that are spoken; the matter is the “sensible thing” of the sacrament. In Baptism, for example, the form consists of the words, “I baptize thee in the name of the Father, and of the Son, and of the Holy Ghost.” The matter of baptism (the “sensible thing”) is the water. The form determines the matter. In other words, the words that constitute the form determine what the matter is intended to signify. For example, in baptism, the words “I baptize thee, etc.” determine that the water signifies the washing away of Original Sin. Some sacraments use the same matter. The laying on of hands, for example, is the matter for the Sacraments of Confirmation, priestly ordination, and episcopal consecration. It is the form (the words) that determines what the matter (the laying on of hands) is intended to signify in each of these respective sacraments. Now, just as the matter is determined by the form, so too, in some cases, the form itself derives its signification, in part, from the general context in which it is used. The context of a sacramental form consists of the words and the prayers that surround it, as well as the general ceremony itself. This determination by the ecclesial, historical and liturgical “context,” (which helps to give the form its intended meaning), is known as determinatio ex adjunctis or significatio ex adjunctis. These surrounding words and prayers help to clarify the meaning of the words that constitute the form, just as the form itself signifies (or determines) the matter. 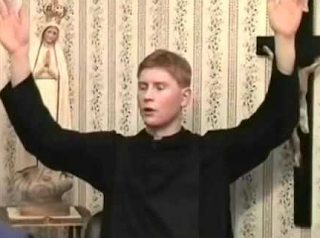 Now, the dispute with Peter Dimond, which is the subject of this article, does not pertain directly to the form itself, but to the significatio ex adjunctis, that is, to the prayers and words which surround the form in Paul VI’s new rite of priestly ordination. Dimond claims that all references to a sacrificing priesthood have been eliminated from the rite, and then argues that this alleged elimination destroys the intention of the bishop to do what the Church does – namely, to ordain a true sacrificing priest. We will now address this argument directly. So, in these places we have explicit reference to the priest offering sacrifice and forgiving sins. Dimond does not deny this, nor does he claim that these words do not refer to a true sacrificing priesthood. What he argues instead is that because the precise wording of these sections of the new rite is not mandatory, it means the wording cannot be considered part of the rite itself. Dimond then quotes, as his authority, Michael Davies, who referred to the precise wording from this section of the new rite as only “model” wording, as opposed to a mandatory wording. 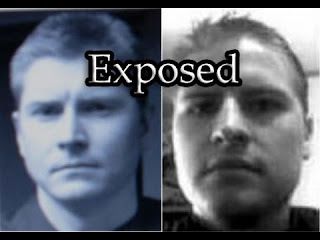 We find it interesting that Dimond quotes Davies as his authority, since he has publicly declared that the late Michael Davies was “a faithless heretic.” And he quotes the “faithless heretic” as his authority throughout the video, which is yet another example of the schizophrenic “cherry-picking” methodology employed by Sedevacantists, which we have exposed over and over again in this debate. The second problem is that Dimond plainly acknowledges that the language specifies the sacrificial priesthood. That’s why he attempted to divorce the language from the rite itself, by claiming it is not part of the rite. In so doing, Dimond is admitting that the language in the model homily (the significatio ex adjunctis) gives a Catholic meaning to the form, specifically, by explicit mention of a sacrificial priesthood (that’s why he must argue this language is not part of the rite). Note also that Dimond does not point to any language in the form, or even in the ancillary prayers, which would negate or contradict the Catholic meaning of the new rite of ordination. In short, just because the rite grants the bishop flexibility in the wording in certain parts of the ceremony (specifically the homily) does not mean the explicit language from the model homily is not present in the rite itself (it clearly is); and it certainly does not mean the liberty granted to the bishop by the rubrics invalidates the rite. The question then becomes a practical one, namely, do the bishops use the wording of the model homily that is contained in the liturgical book, or do they depart from it? And if they depart from it, do they fail to make explicit mention of the sacrificing priesthood? And this brings us to Dimond’s third problem, which completes the decimation of his argument. If he had taken the time to research actual ordination ceremonies, as we have done, he would have seen that the recommended wording from the Pontificale Romanum is used, almost word for word, even by some of the most liberal bishops in the Church. What is clear is that the “model homily” is viewed, not merely as one choice out of many, but as providing basic structure and suggested wording for the bishops to use in the ordination ceremony. What we found is that most bishops follow the wording almost verbatim, while others use more flexibility, but every ordination ceremony we researched followed the same basic pattern, and every one made explicit mention of a sacrificing priesthood (usually using the exact wording from the model homily, even when they deviated from the model wording in other places). What this shows is that the “model” is just that: it is the model for them to follow when celebrating the rite, and they do indeed follow it - usually very closely, and sometimes to the letter. What this means, and what our research confirmed, is that the express mention of a sacrificing priesthood is not only on the books, but it is present during the ordination rite itself when it is actually performed, contrary to what Peter Dimond imagines. To demonstrate this, we will provide excerpts from some of the ordination ceremonies we examined during our research, which were performed by “Novus Ordo” bishops. The first is from an ordination performed by Bishop Loverde, of Arlington, Virginia, in June of 2001. We see that the essential the wording is virtually identical to that which is found in the Pontificale Romanum (quoted earlier). Would Peter Dimond claim that this ordination ceremony lacked any explicit mention of a sacrificing priesthood, simply because the words used by the bishop were not mandatory? That would be absurd. The next is taken from the ordination performed by Bishop Holley, in May of 2009. “My dear son in Christ, Deacon Andrew Davy, we are gathered here on this joyful occasion with your family. … In a few moments from, you will be ordained to the Sacred Priesthood … From now on, for the rest of your life, pray every Mass, as if it were your first Mass, your last Mass, your only Mass. … In being configured to Christ the eternal High Priest and joined to the priesthood of the Bishops, he will be consecrated as a true priest of the New Testament, to preach the Gospel, to shepherd God's people, and to celebrate the sacred Liturgy, especially the Lord's sacrifice. Once again, we see the same explicit mention of a sacrificing priesthood, and even of the sacrifice of Christ being offered “in an unbloody way” by the priest. This is very clear Catholic terminology for the Sacrifice of the Mass. Once again, we have the same clear references to the sacrificing priesthood, which Peter Dimond claims has been “systematically removed” from the new rite, “in a pattern which was similar to what the Anglicans did in the sixteenth century.” These references may have been “systematically removed” from Dimond’s research (if he actually did any), but it was certainly not from the new rite of ordination for these priests. Next is the ordination ceremony performed by Bishop Burke, in 2008. Are we seeing a pattern here? Indeed, we are. While the bishops are not permitted flexibility by the rite, all of the homilies we researched follow the exact pattern of the “model homily” with a clear reference to the sacrificing priesthood. Here we have another clear reference to the sacrificing priesthood – with a quote from the Council of Trent, no less - in the ordination rite that Peter Dimond claims has eliminated “every reference to the signification of the true sacrificing Catholic priesthood.” Clearly, Peter Dimond did not do his homework before leaping to his false conclusion (which he has been promoting publicly for years), and then further embarrassing himself with his latest video. As we can see, there is explicit mention of a sacrificing priesthood in each of these ordination ceremonies. What this proves is that Peter Dimond’s assertion that “every reference” to a “sacrificing Catholic priesthood” has been systematically removed from the new rite is completely and utterly false. His statement simply does not correspond to reality, since explicit mention of the sacrifice is not only present in the official liturgical books, but it is also used in the actual ordination ceremonies, which are performed according to the new rite. In light of what we have seen, we will again quote Dimond’s argument, and let the readers decide for themselves if it has any validity. You see, Peter Dimond never bothered to check the facts to see if what he thought about the new rite of ordination corresponded to reality. Instead, he simply jumped to the false conclusion that because the specific language, in certain parts of the rite, does not have to be followed verbatim, means that “every reference” to the “sacrificing Catholic priesthood” was systematically removed. That was quite a leap in “logic,” but then again, there is nothing logical about Sedevacantism and the arguments that Pete Dimond manufactures to defend it. As we have seen, by virtue of the prayers and surrounding words (the significatio ex adjunctis) of the actual ordination ceremonies performed according to the new rite, there is explicit mention of a sacrificing priesthood. The only question that remains is whether Peter Dimond will now admit that he was dead wrong, and had no idea what he was talking about when he leaped to his false conclusion, or whether he will claim that an ordination ceremony in which a bishop makes explicit reference to a sacrificial priesthood is invalid, simply because the words used were not mandatory? Don’t put such an absurd argument past Pete Dimond, who has already been backed in the proverbial corner with his “epic blunder,” and will now be scrambling to save face. If Dimond wants to find examples of a bishop failing to make explicit reference to sacrifice, let him do so; but for him to claim that every reference of a sacrificing priesthood has been eliminated from the new rite, simply because the rubrics do not require that the model homily be followed verbatim, is totally false. He has completely discredited himself with such a ridiculous and ignorant argument. We should also note that even if a bishop did fail to make explicit mention of a sacrificing priesthood, there is no reason to simply assume that this omission in the significatio ex adjunctis would invalidate the rite. Whether or not the words used during a particular ordination ceremony lacked what was essential for validity, involves both questions of fact and law which the Church alone (not Peter Dimond, thank God) has the authority to judge. The Truth about What Really Happened to the Catholic Church after Vatican II, pp. 116-117. 1. To say that a "model" homily is "part" of the Rite is seemingly nothing more than semantics and avoids the substantive issue regarding the fact the "model" homily is PURELY optional. That is, it can be wholly abandoned. If a person has the option to state A or B, but not both, then is it true to say that BOTH A and B are part of that person's statement? 2. What evidence can you produce that substantiates your claim that "most bishops follow the [model homily] almost verbatim? 3. How many "actual ordination ceremonies" did you research? A specific number would be helpful. The Dimond Brothers video was an epic fail in more ways than one. What we didn’t mention in our reply (but could have) is that their claim that the ceremony must include explicit mention of a sacrificing priesthood is refuted by history, since the oldest known rite of ordination for priests (the one almost certainly used by the apostles) mentions a sacrificing priesthood nowhere (as we show in our book when we cite it directly). But the fact of the matter is that the new rite does include explicit mention of sacrifice. It is in the Roman Pontifical (as the Dimond Brothers admit) and, even though there is flexibility allowed for the priest in that section, the wording is usually followed almost verbatim. This was the case with just about every actual ceremony we investigated. In those ceremonies in which priests chose not to follow the model language, they substituted it with wording that mentioned sacrifice (as we showed). So it is evident for anyone who is sincere that the Dimond brother’s claim that the new rite has “systematically removed of every reference to the signification of the true sacrificing Catholic priesthood,” is completely false. You have to consider the individual ceremonies themselves to determine what is and what is not included. Just because some of the wording is optional, in no way invalidates a ceremony which specifically includes it. As we mentioned in our article, if they want to investigate individual ordination ceremonies, as we did, and locate one in which a sacrificing priesthood was not mentioned, let them do so. But even if are able to locate one, it in no way implies that the ordination was invalid, due to the clarity in which the sacramental effect is signified by the form itself. The Dimond brothers should admit they were wrong and move on.